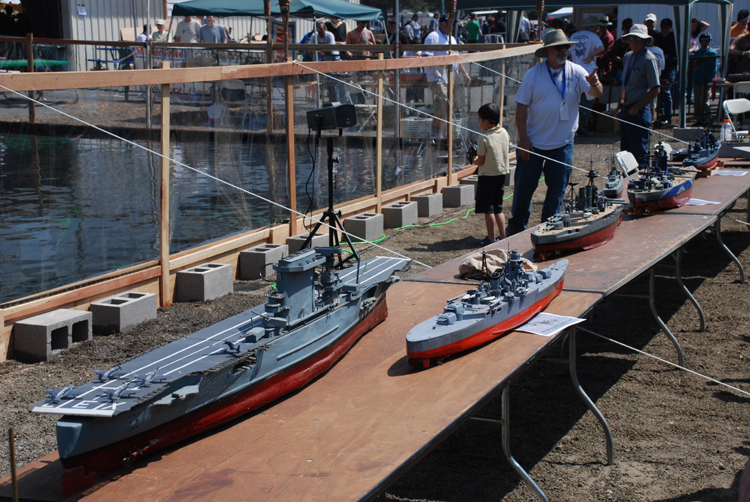 A lineup up model boats. Most of these didn't participate in the battle. The ocean was constructed with a big pond liner, some cinder blocks and a clear plastic sheet to protect the spectators from the BBs.